Our aim is to provide our clients with the best possible tree care service, offering sound, well informed advice backed up by high standards of workmanship and great customer service all at a competitive price. We keep our fingers on the pulse of our industry and stay up to date with the latest innovations, best practices and current legislation’s insuring we are always operating at our best. We cater for all types of tree work, domestic & commercial on both small and large scales. 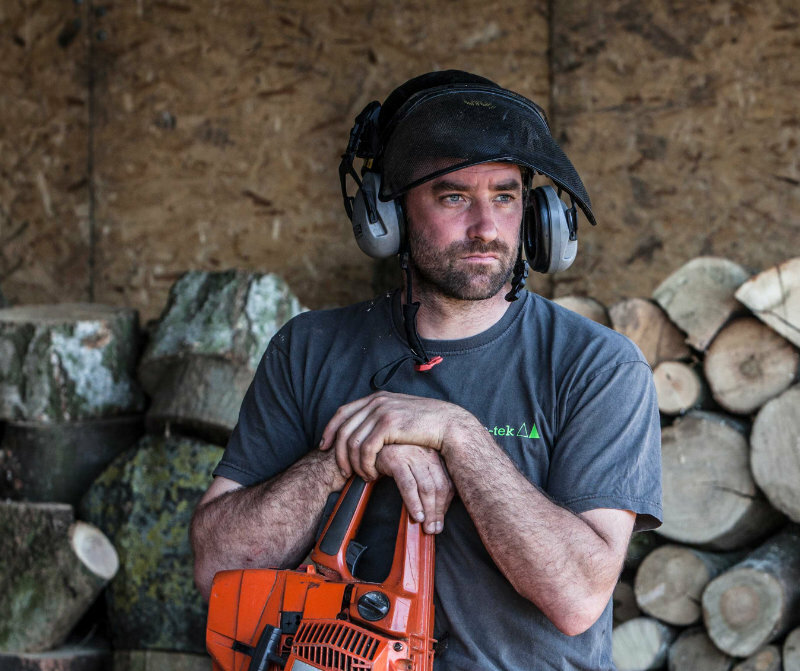 After more than 10 years working in the arboricultural industry, Carl had spent many years working for various companies watching how thing should (and shouldn’t) be done. Taking a big leap of faith Carl Stedman founded the family business in May 2013. From the begining, tree-tek has strived to provide the best quality tree care and personal service to all our clients and we believe this to be the one of the main reasons behind our success as a company. Yes, we are carry both public and employers liability insurance and always carry the necessary paperwork to prove this. + What do you do with the waste? We endeavor to run our company as green as possible, therefore all wood-chip is re-used as garden mulch or fertiliser/spread on fields. All suitable timber is processed to be used as firewood or can be left on site at the clients request. + How many people will there be? Depending on the size and nature of the task, we always work as a minimum of a 2 man team to comply with health & safety regulations although there can be many more of us during some operations. + What time do you normally start? + What access do you need? Access can be ascertained during an initial site visit and will depend upon what operations are to be carried out. + Do I need permission? If your tree is protected by a tree preservation order (TPO) or in a conservation area you will always need permission which can take around 6-8 weeks, however there are some exemptions to this rule i.e. if the tree is dead, dying or dangerous in which case we will notify the relevent council that the work is of urgency and will be carried out as soon as possible. + How do I know if my tree is protected? If you are unsure if your tree is protected, tree-tek can enquire for you with the local council after an initial site visit. Any necessary applications can then be completed and followed up.